Here at OBO we want you to get as much use as you possibly can from your kit. 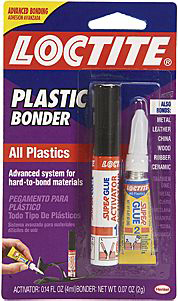 We often get asked whats the best glue to use on foam…we used to advise contact adhesive, but we have just discovered a great glue made by Loctite for “hard to bond materials”. Its called Loctite Plastic Bonder and bonds to OBO foam like a bad boy! The consmer pack contains an activator and glue and bonds to OBO foam superbly. You should be able to get this product from your local hardware store..here is a link to product on the Loctite website. If you cant find this the Loctite code is 770 primer and 406 glue. A video showing how to repair your foam to get as much use as possible from your kit. Beta Testing Review – Bobbla. My review of the new OBO BOBBLA. Hey guys. Here’s my final report on the last of the three products in Obo’s new training product range, the Bobbla. To be quite honest, when i first started using this unusual product i was not very impressed with it. I thought it a little simple and not as valuable and relevant as the Flicka or D’flecta. However after using it for a bit longer and talking with my coach about the use i discovered that skills used with the Bobbla were actually more relevant than either of the other two training products. Pictures of the Bobbla. 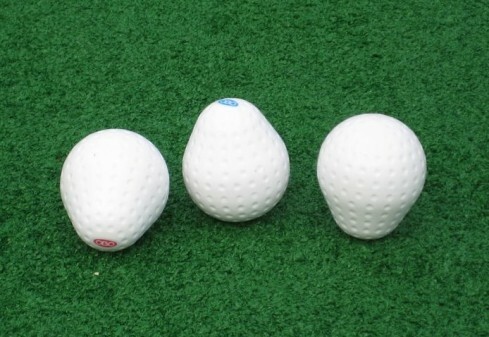 The egg shape gives it its trademark bobble. 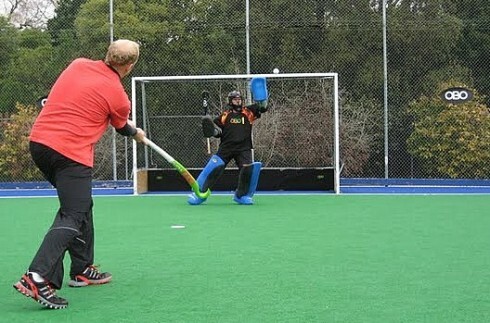 When using the Bobbla, the idea is to look at and practice the basic kicking techniques which are essential to goalkeeping. The Bobbla is rolled at the goal and the keeper kicks it away from the goal. Just like in a simple warm up. However the Bobbla makes each part of that ‘simple’ warm up much harder. Instead of staying on the ground as an ordinary hockey ball would, the Bobbla bounces and spins as it rolls giving an unpredictable bobble as the keeper goes to kick. This means the keeper is forced to concentrate much harder on their timing and basic kicking technique. By using the Bobbla my coach was able to pick out that my left foot was not as skilled as my right foot at kicking, a common problem for a lot of keepers, i have since corrected this and both feet are fairly even. Here is a beautiful picture of the Bobbla in action. The egg shape has made the ball bounce up as i am about to kick. 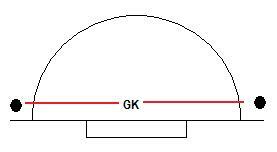 The unpredictability of the bobble also speeds up the reaction time of the keeper and keeps them focused on the ball. Because the final direction of the ball was always uncertain i found that the best strategy was to wait until the last minute to kick. This improved my reactions, foot-eye coordination and my timing. Because the ball was traveling slower and moving about i had to focus on the ball the whole time and this improved my concentration. A weakness of mine has always been the slower, bouncy shots and the training with the Bobbla was perfect for erasing that problem from my technique. From my experience, i found that the Bobbla is most useful for correcting and reinforcing the basic goalkeeping kicking techniques. The flaws in my technique have been somewhat ironed out and the constant repetition has improved my kicking muscle memory and confidence. 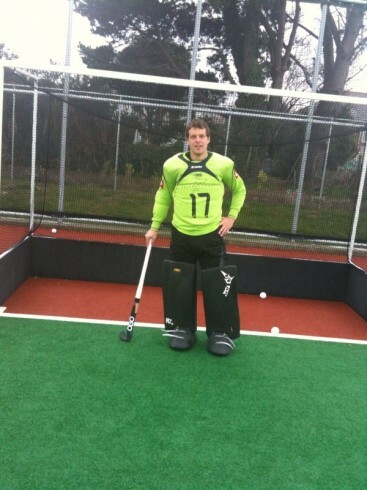 I believe that this product has a lot of potential for coaches and goalkeepers everywhere. I found it extremely beneficial to my game and was able to make much better use of my coaching sessions. Author OBOgKPosted on October 29, 2009 August 13, 2014 Categories OBO, Product ReviewsTags obo beta testing, obo training, product review2 Comments on Beta Testing Review – Bobbla. Beta Testing Review – Flicka. 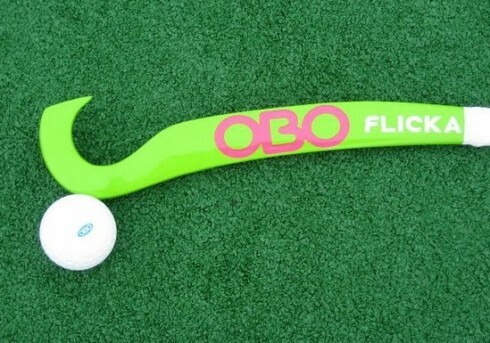 My review of the brand new OBO FLICKA. As part of the Beta Testing Program i have been training with the Flicka extensively and have a range of feelings about it. I found it most useful for increasing my hand-eye coordination and my ability to track the ball through the air at different rates. 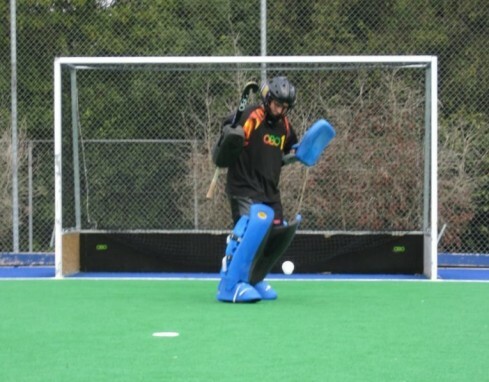 The Flicka is designed to simulate aerial saves such as flicks and dragflicks. The ball is caught in the hook and flung so that the ball flies off towards the goal. Its a lot harder than it looks but when you get it it works great. I found the Flicka a very good training product for increasing my confidence and ability when making glove and stick saves. Focusing on clearing the ball wide also improved my basic save technique and skill as a keeper. The Flicka was not as much use to me as it could be to others. I am already technically proficient and i was able to handle most of what the Flicka could throw at me. I found it more useful for creating muscle memory for getting to the ball, saving the ball and clearing the ball wide. I also found it very useful for increasing my skill with stick saves. 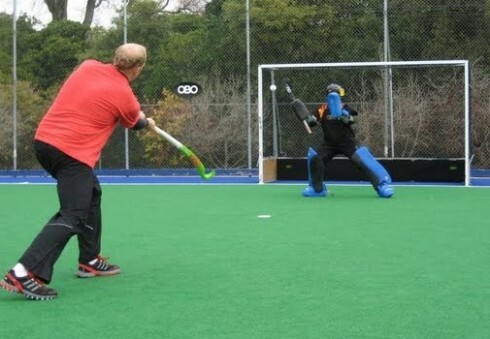 By standing off to my left and trying to use only my right hand to save the flick i very quickly increased my stick save confidence. Moving to make a stick save. I think this tool would be most useful for improving younger, less experienced goalkeepers who perhaps have slight flaws in their technique. The Flicka is better than a player flicking as quite often the player telegraphs which direction the flick is going. With the Flicka this is impossible to judge and so makes the save purely reactionary. The emphasis on making the save and clearing the ball also incorporates a degree of muscle memory which further enhances the keepers technique. 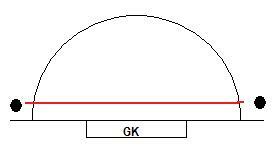 I also think the Flicka would be very useful for goalkeeper coaches. The coaches ability to control the speed and direction of the flick would greater allow them to control the training of the goalkeeper because sometimes field players cannot quite understand what the coach wants. This would allow the coach to individually tailor each flick to get the desired effect and get the desired reaction. Moving to my left to make a glove save. Notice the technique involved in using the Flicka. Author OBOgKPosted on October 29, 2009 August 13, 2014 Categories OBO, Product ReviewsTags obo beta testing, obo training, product review3 Comments on Beta Testing Review – Flicka. 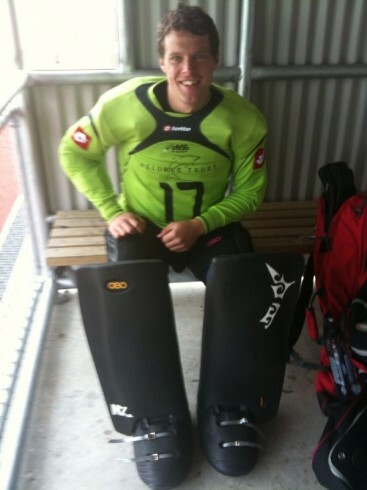 Check out these these custom Hi-Rebound pads made for Blacksticks keeper Kyle Pontifex. 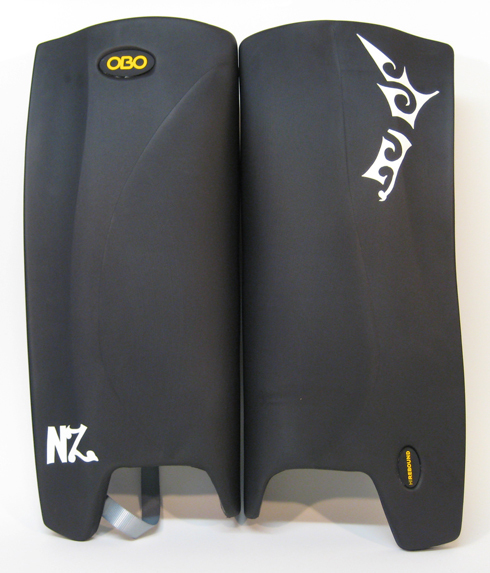 The logo on the left leg wing was designed by Kyle and represents a map of New Zealand. An awesome video of Germany vs Austria from the European Championships submitted by Lukas Graser the Austrian Keeper. Check out this awesome video submitted by Lukas Graser (Austrian keeper) on our Facebook page some great saves and action shots with nice audio too – lovin it lovin it lovin it! The video is from the 09 European Championchips in Amsterdam. Defenders often like to pass the ball around the back of the pitch, in order to open up pitch space and allow for an attack through the middle; holding the ball and passing it amongst themselves to force the opposition to press forward (and thus making gaps appear). 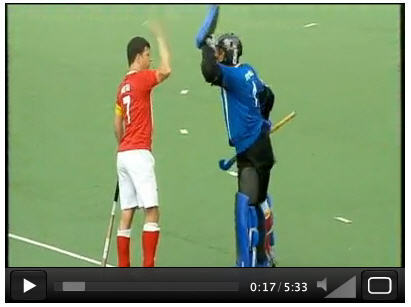 For this to happen, the goalkeeper must play their role in stepping out of the way! If you do watch high level domestic (like the Hoofdklasse, Bundesliga, England Hockey League National Premier league games etc.) or international hockey, or happen to be able to, then something you will often notice the goalkeeper stepping into their own goal, as defenders stay deep, passing it amongst themselves, as they like for space in the midfield. At first this seems a little odd; why would the goalkeeper be intentionally stepping into his own goal during open play when their team has possession? Often, with a high press at work limiting the chance of moving the ball forward, or wanting to move the ball around at the back to the sides and start a play, your full backs will look to slap the ball between each other across the back of the pitch, in the attempt to entice the opposition forwards to come forward on attack and therefore open up space. Although it sounds insignificant, it’s a very simple and effective tool that you can add to your game, to help your team; allowing your defenders more room to play the ball around, using the time and space available by staying deep to play the ball hard and fast across the field to test the centre, or begin an attack. 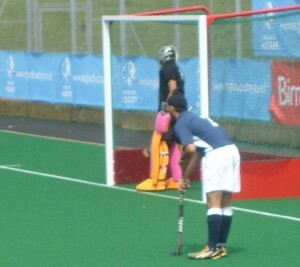 The back-line pass is essentially a pass made near the back line, with two defenders far apart, in each corner, knocking the ball back and forth amongst themselves (England’s international Richard Mantell, who plays his club hockey for Reading, is a great example of this, and was influential with it in the recent EuroHockey matches). A good slap hit allows the defender to move the ball with speed, power and accuracy a great distance; maintaining the team’s possession of the ball by playing it back and forth around the back of the pitch. Looking for a gap to open up in midfield, two defenders will often hang back and play consecutive long passes between themselves to take their time over opening up space for an attack, before releasing the ball to allow the moving forwards to penetrate the D.
However, for such an option to be available and successful, the goalkeeper needs to work with the team; if they are standing on their line in between the defenders, the option is not available! If you are standing on your line, you will end up being in the way! For the defenders to be able to maximise the space available to spread out a pass and open up playing space, they need to be given the room to do so. By stepping out of their way, you can give them the option to make pass across the back-line. With the goalkeeper standing in the way of the passing option, the pass cannot be made. With the goalkeeper out of the way, the defenders are now free to make the pass; maximising the greater space provided as a result. To get out of your defender’s way, you can step backwards past the goal line and into the goal. Standing inside your goal will give your defenders more room to manoeuvre, playing the pass as near enough to the goal line as possible, to keep it deep. If they like to play it further away from the line, then you can just stand on the line if you wanted, out of their way. Once the pass has been made, you can obviously step back out of the goal and out to your normal standing position within the D. If your defenders want to pass the ball to each other again in this way, then all you have to do is repeat the process! Some ideas and examples of using the OBO FLICKA Stick in action plus a few ideas on repetition training for aerial shots. The curve in the stick allows the coach to disguise the direction of the shot and also mimics more of a hockey movement than a lacrosse stick. Please note this stick is not for use in a game – its for training and having fun! Here is a video showing the OBO D’FLECTA mat in action and a few ideas for some drills that work on reactions. Here is a video showing the OBO BOBBLA training ball in action and a few ideas for some drills that work on repetition and reaction training. 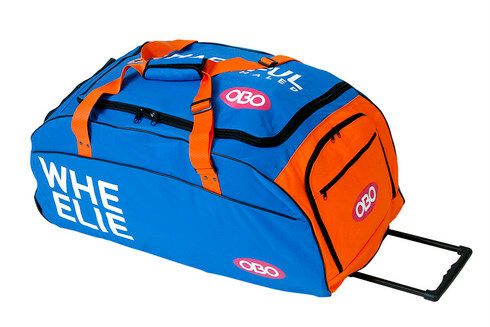 I think this bag is the best which was ever been created by OBO.I really love the colours.But in my opinion it should have more pockets to seperate things like hockeyshoes, the throat protector or the shirt, from the smelly stuff.